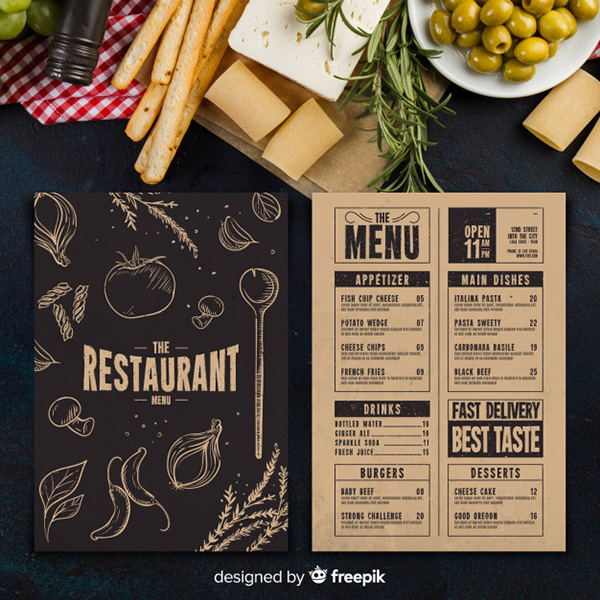 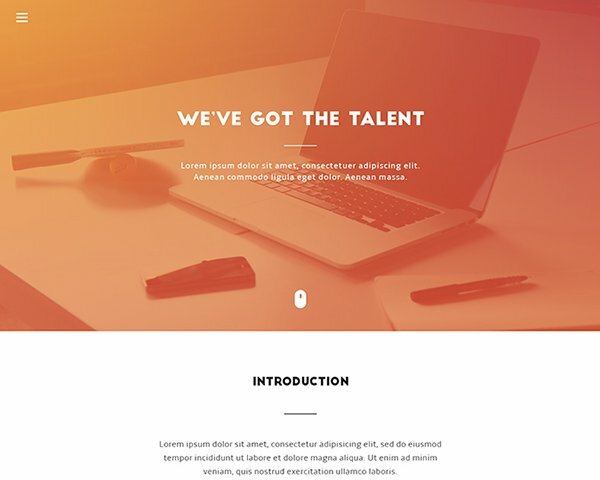 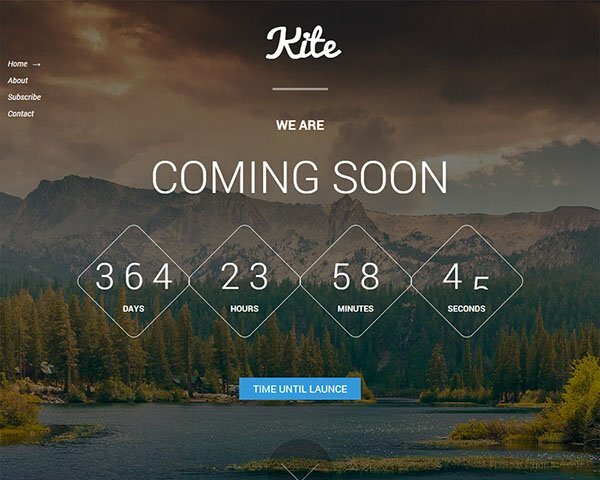 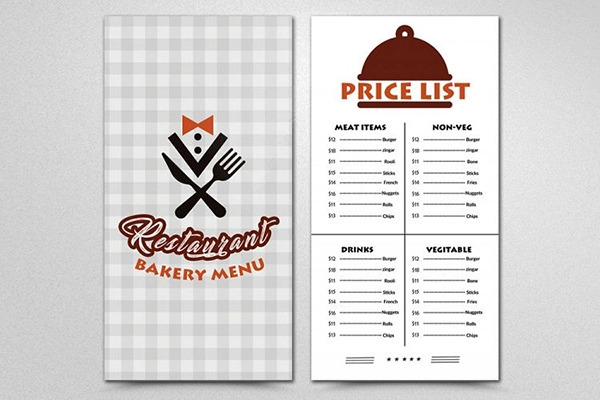 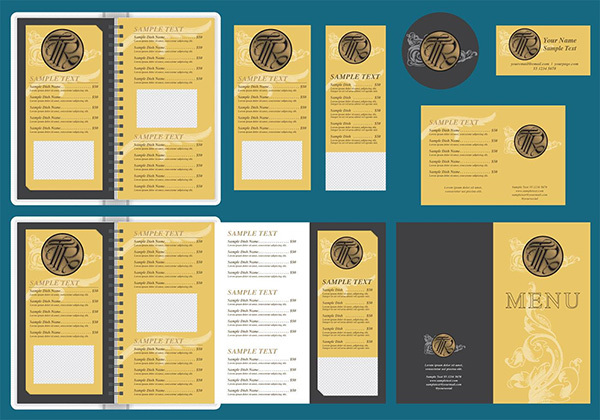 In this collection, we are featuring some amazing menu templates. 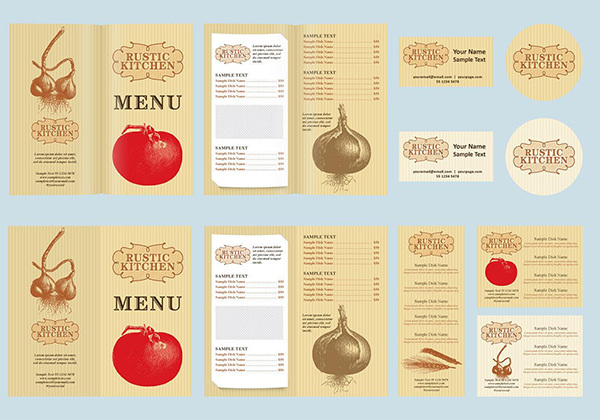 These templates are high-quality and can be used for any kind of design projects. 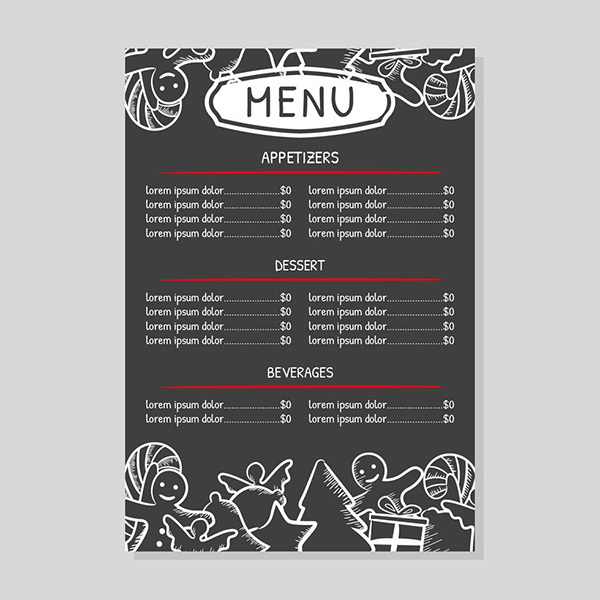 Vector illustration of christmas restaurant menu. 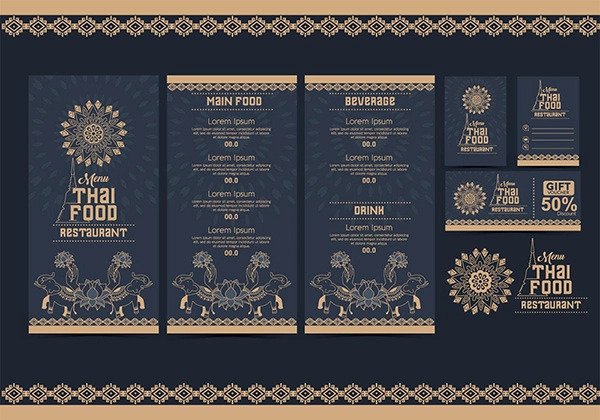 Thai food restaurant menu temple with Thailand ornament typical elephant and flowers. 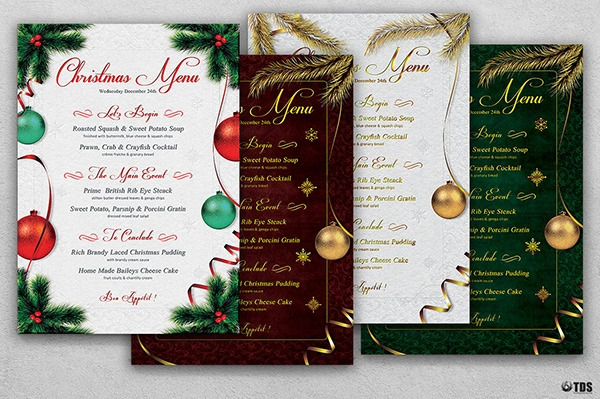 4 different Christmas menu designs to suit your needs. 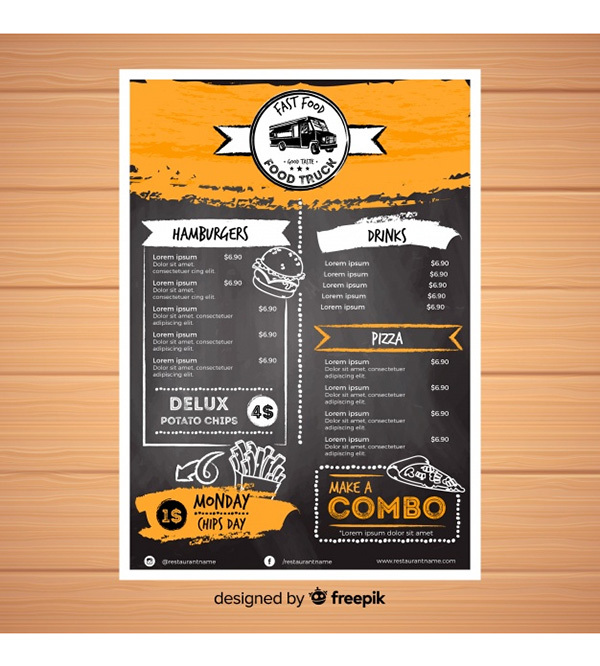 All the text is editable by simply double-clicking on the text’s layer in Photoshop, and just typing in your desired information. 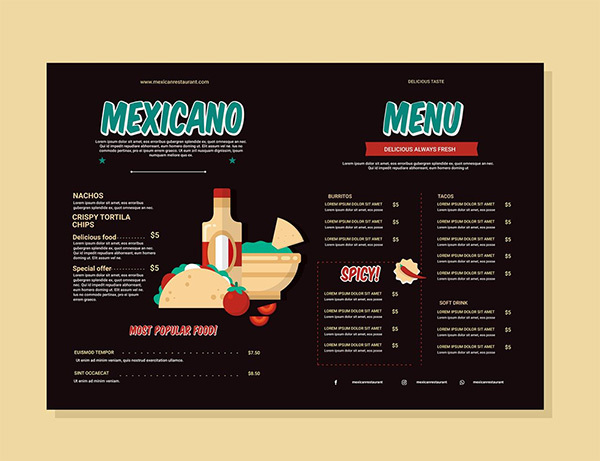 Mexican menu food vector illustration with flat and clean design style ready to use. 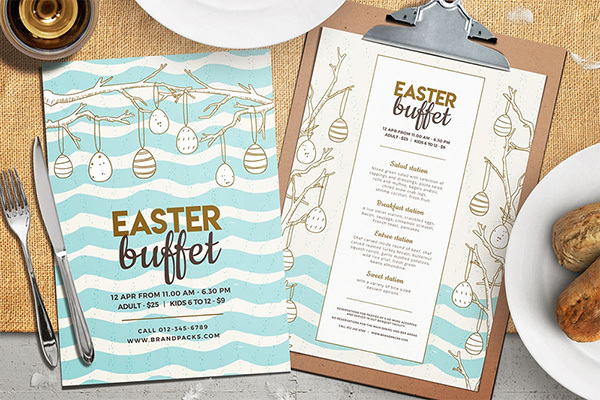 Create beautiful themed Easter menu designs & layouts with these readymade templates for Photoshop & Illustrator. 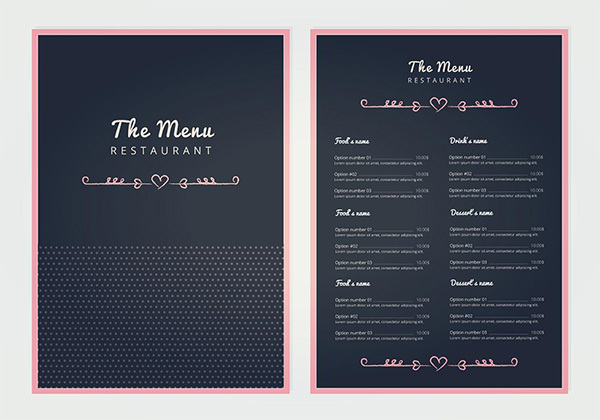 This Easter Menu Template is ideal for Easter weekend promotions, special set menus & Easter dining events at restaurants, cafes & churches. 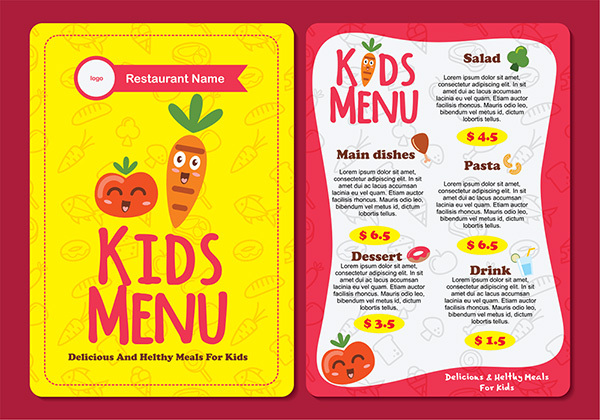 Here is a very cute kids menu templates suitable for restaurant projects,100% vector illustration flat design. 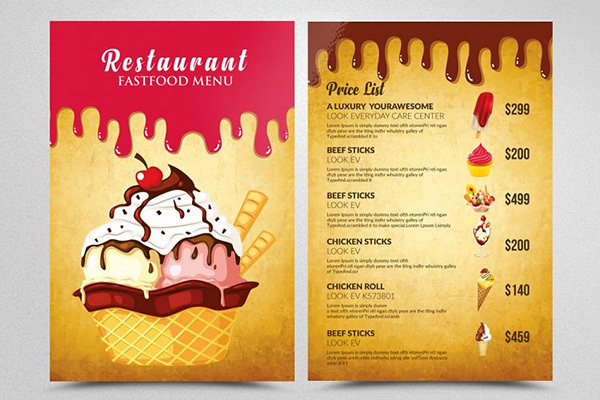 Grab this free hotel menu, in both AI and EPS format. 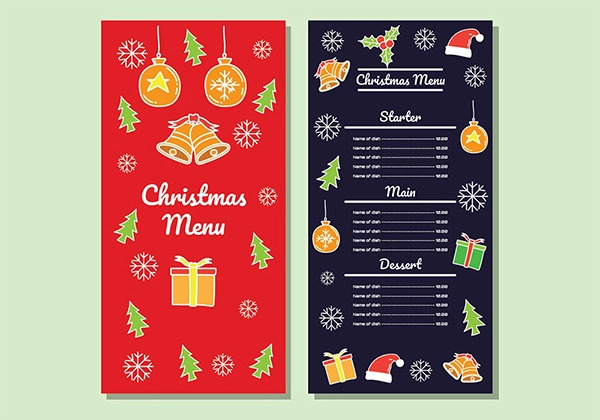 Set of christmas dinner menu vector, best vector for any kind of projects and use. 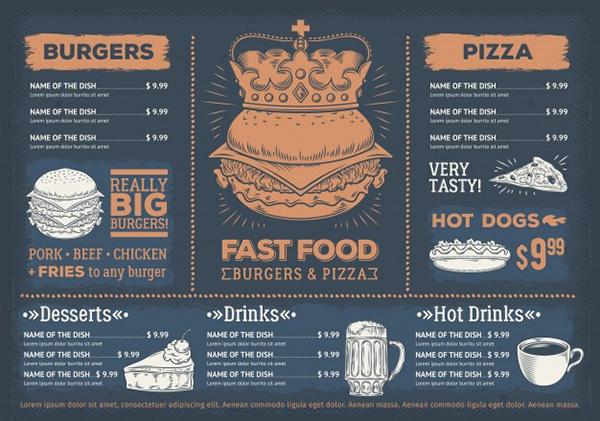 This is a template menu for a burger restaurant! 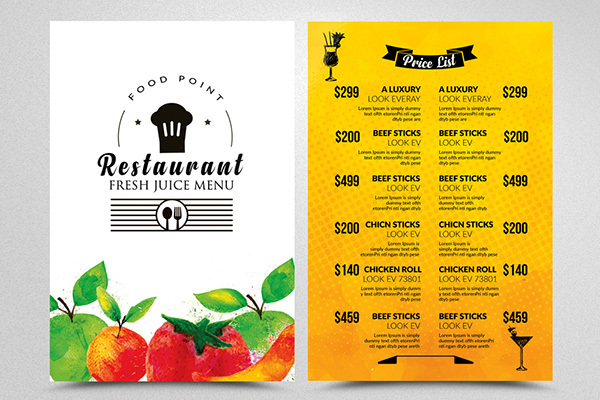 Comes in a compact size, which is 4 x 9 in, you can use it as a standing table menu and also as a flyer. 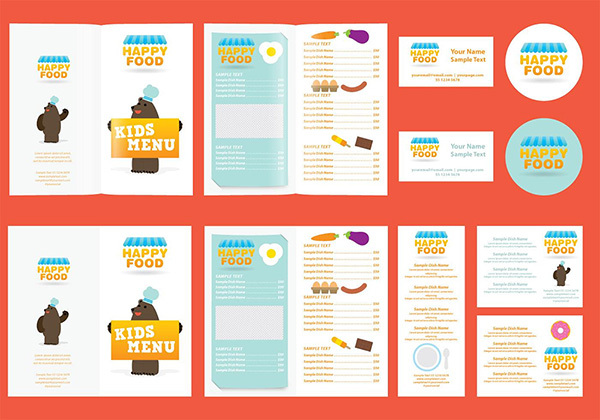 Kids menu for your restaurant projects, food publications or children topics in your designs. 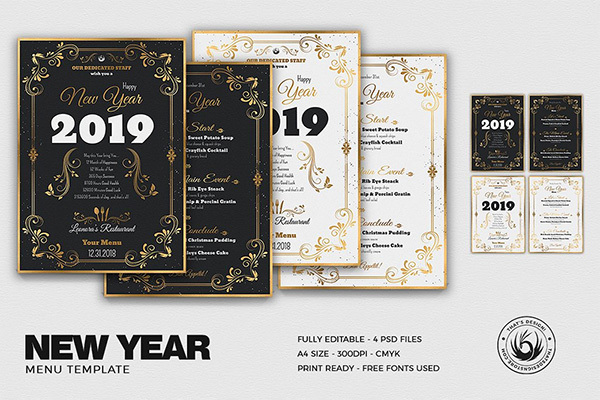 A new year menu template for your designs. 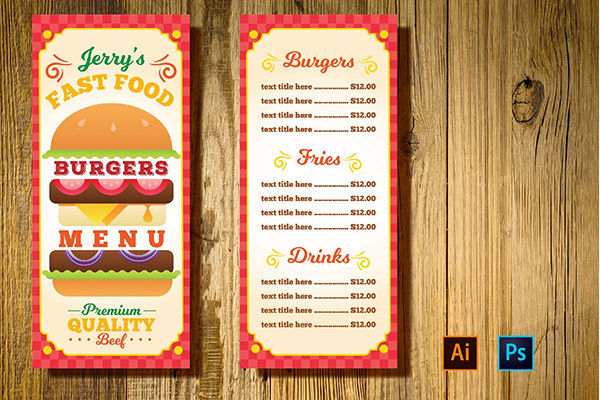 4 Photoshop PSD files, 1 Help file. 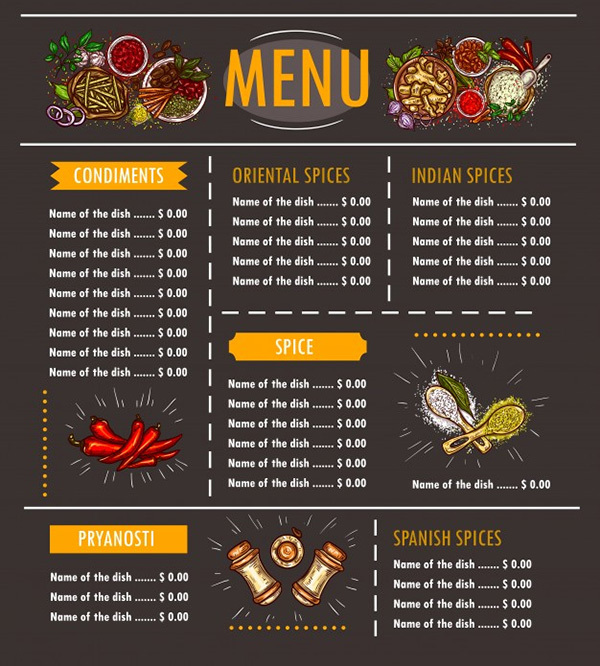 Vector illustration menu with special offer and various herbs spices seasonings condiments. 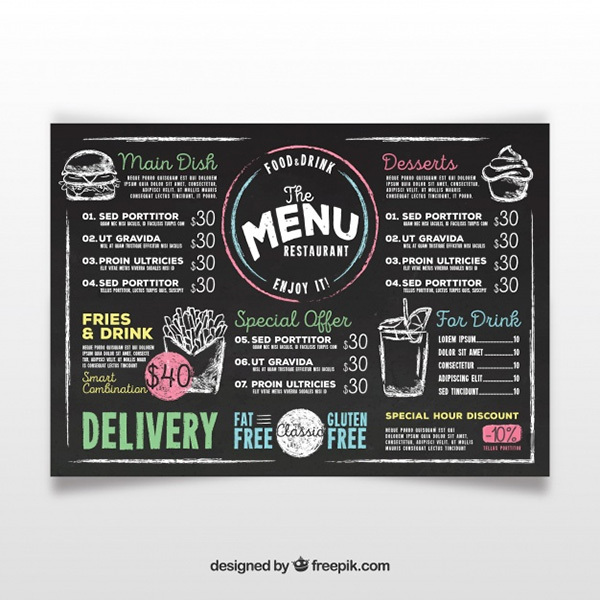 A chalkboard style restaurant menu template for your designs. 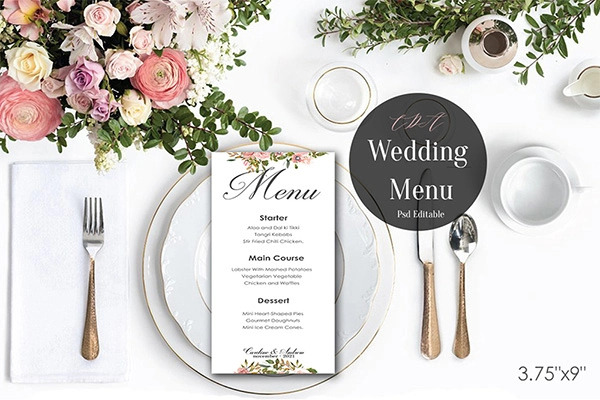 This product includes editable high-resolution Vintage style wedding menu templates. 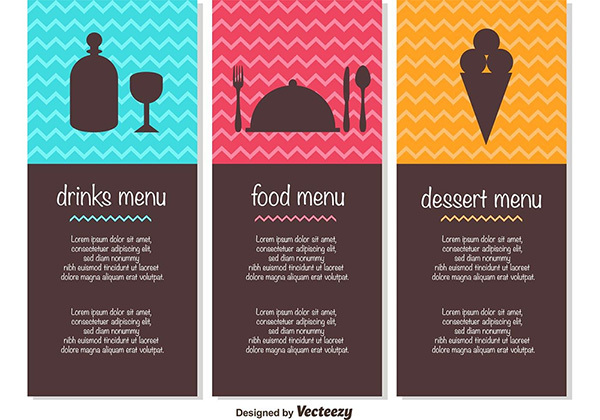 This is a quick and easy solution that you can use to create a simple and elegant wedding menu. 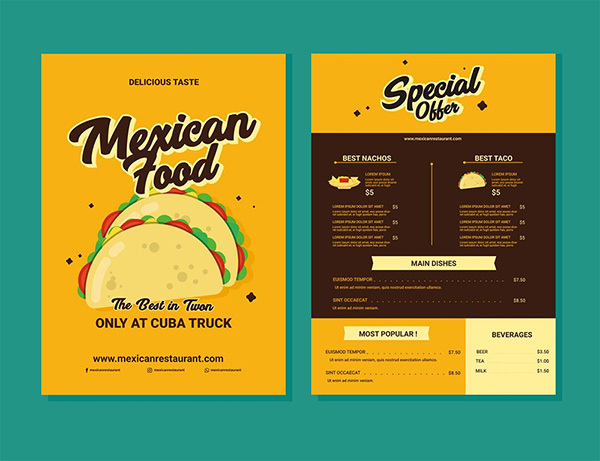 Golden menu templates for your restaurant and hotel projects, food publications or travel and leisure topics in your designs. 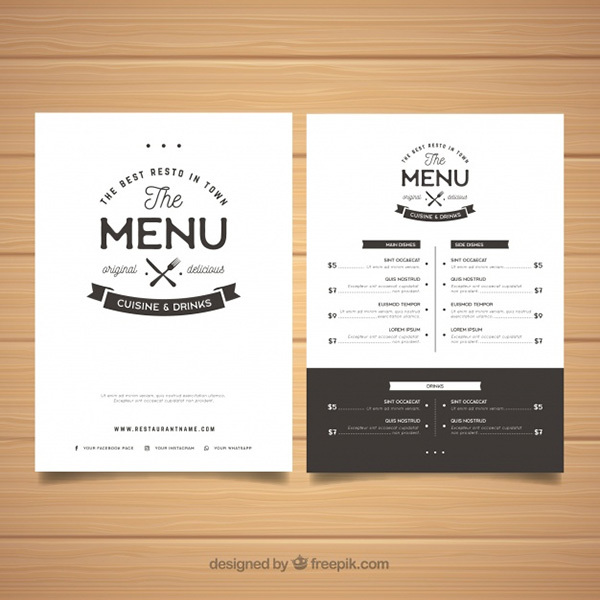 Set of 3 menu template vector designs – perfect for restaurants and cafes. 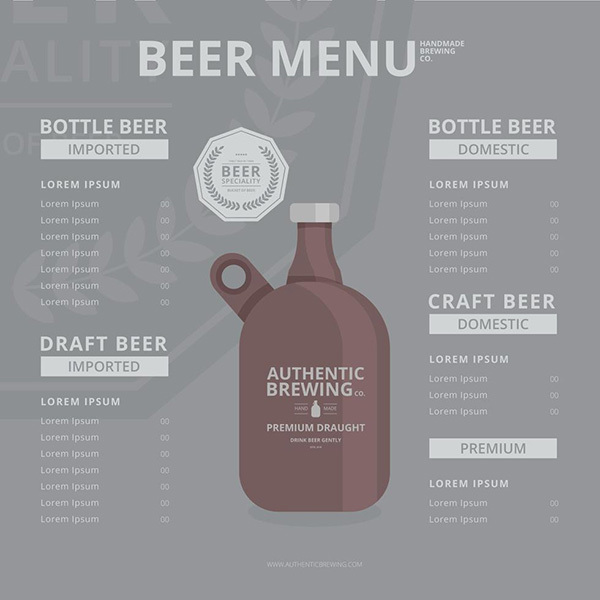 Craft Beer in Growler with Alcohol Drink Vector Menu Template. 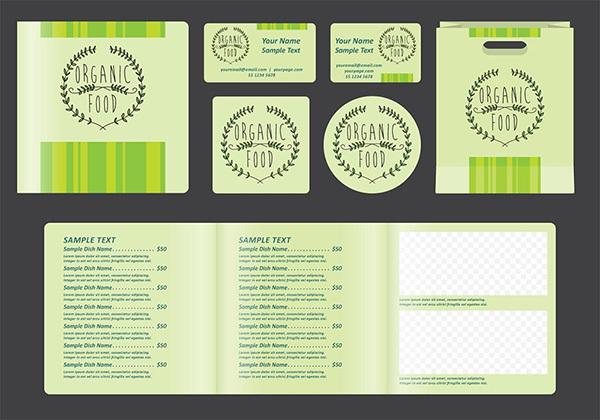 Set of organic food templates for your business projects, food industry publications or restaurant topics in your designs. 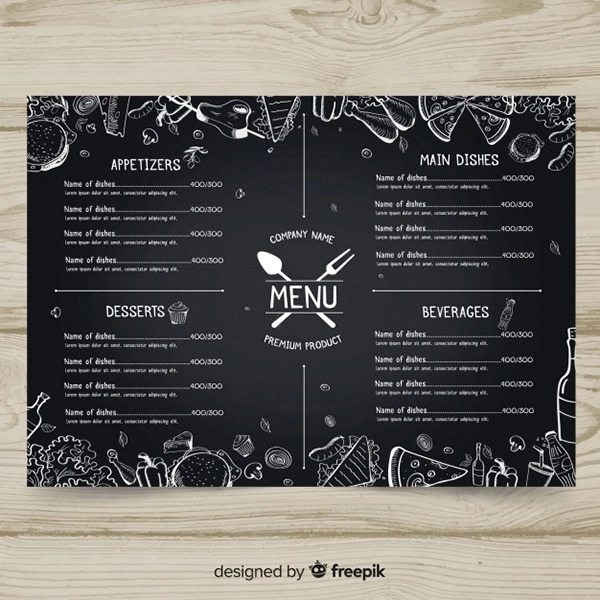 An elegant cafe menu template in chalkboard style.